A registered nurse (RN, MN), Ms. Marvin is the former Director of Patient Care Services, Shriners Hospital for Children, Galveston, Texas. Ms. Marvin has 50 years of experience in health care. She has had a number of leadership and educational roles throughout her career. She was the Associate Director of the University of Washington (UW) Burn Center and an Associate Professor in the Schools of Medicine and Nursing at the UW. She attended Texas Woman’s University for a Bachelors Degree and the UW for a Masters Degree. 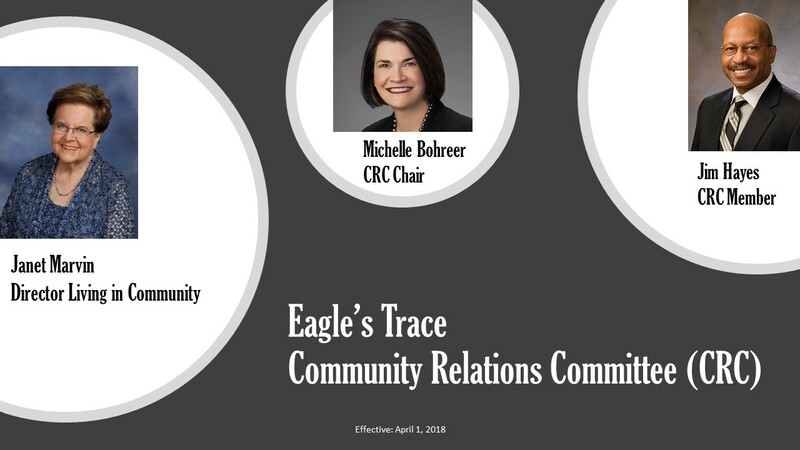 After retirement, Ms. Marvin moved to Eagle’s Trace where she has been active in several committees and served 6 years on the Resident Advisory Council.